... this social enterprise is able to provide 110 inmates with the opportunity to sustain their families and to move out of poverty through a dignified and reliable source of income. Over 70% of individuals in Peru’s prisons have children to support at home and no opportunities for earning income legally while awaiting trial or serving their sentences. Detainees can often be incarcerated for up to two years before their trials. Many of those caught in pretrial detention and incarceration have experienced poor education, low wages, and social exclusion. Upon incarceration, individuals experience further loss of income and an inability to support their families, often driving others in the family to criminal activity. In one week, 700 micro-lenders around the world were inspired by the power of social entrepreneurship. Project Pietà directly addresses a key factor that correlates with future criminal offense: future employment. Pietà is a social enterprise and clothing label that pays inmates a portion for each unit of clothing they produce, resulting in a reliable income they can send home to their families. Upon release, former inmates can continue working with Pietà or seek jobs at other companies with Pietà’s recommendation and support. 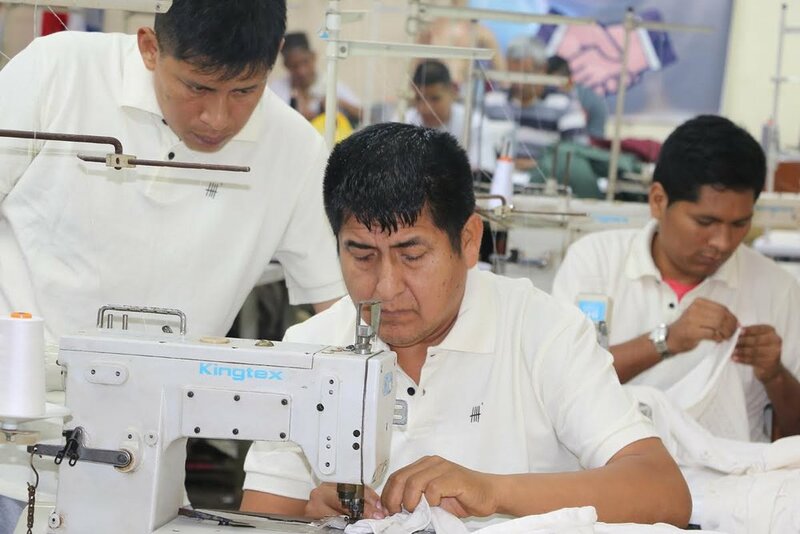 In August 2017, Kiva lenders helped Pietà to open a new retail store in Peru and a distribution center that will support 90 inmates with training, jobs, and incomes by 2019. Last month, NESsT launched a Kiva campaign to raise a complementary loan for Pietà to train 20 additional inmates and enable 110 total inmates to expand their work and earn 20% or more over the minimum wage. This new $20,000 loan will help to (1) open a fourth store to boost sales, allowing Pietà to expand operations to sustain its growth, and (2) to fund initial working capital needs for this new store that will allow more inmates to earn income in the production workshops. Poor people of color represent an overwhelming amount of the majority of prison populations around the world. A reason that is frequently noted is that poor people are more tempted to participate in illicit activity, like theft and drug dealing, for the purposes of generating income to sustain themselves and their families. Recently, however, more people have proven that the poor are more likely to be incarcerated as a result of criminal justice fees and fines that continue to impoverish people until they are incarcerated. In conclusion, fines and fees structured as regressive payments*, the mass incarceration of poor communities of color for nonviolent offenses, the lack of legal representation, extended pre-trial detention, the criminalization of life-sustaining activities (such as sleeping in public when no shelter is available), confiscation of little resources and property poor people might have, and using monetary sanctions as a form of revenue generation - they all pose barriers to employment and re-entry to society. Project Pietà is working to bring challenges that incarcerated people experience into public consciousness. They are doing so by enabling people to exit the prison system for good. Beyond the 1,400 people that have supported Project Pietà, we hope that individuals realize their ability to collectively finance solutions that offer improvements for the lives of people that need it most. * A regressive payment means that people from higher-income backgrounds pay a smaller percentage of their income than people from lower-income backgrounds because the payment is not based on ability to pay. A progressive tax is the exact opposite wherein the payment is a larger percentage of income from people as their income rises.